Find competitive quotes on outdoor advertising in Everett! Everett, home to top-tier entertainment, is a great location for your next outdoor advertising campaign. With the 8,000-seat Angel of the Winds Arena and Historic Everett Theater, you can be confident that your campaign will make an impression on Everett. 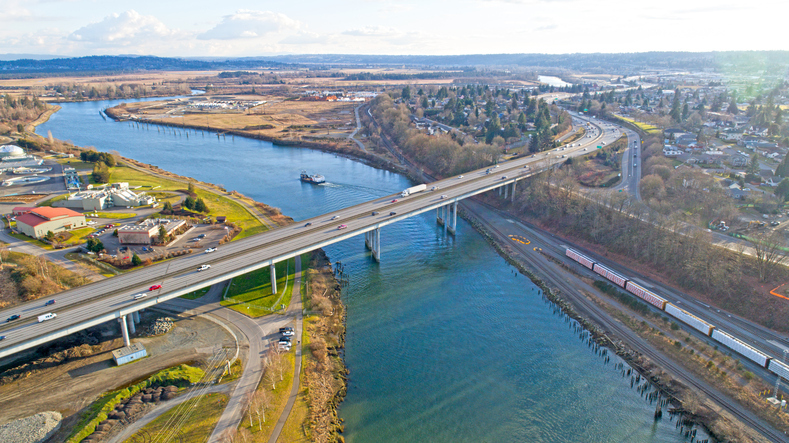 The port city offers prime opportunities to spread the word along I-5 in addition to near Everett Mall. Attract sports fans near Everett Memorial Stadium or locals near Evergreen Arboretum & Gardens. It doesn’t matter if you’re looking to target families near Imagine Children’s Museum or shows at the Everett Performing Arts Center, BillboardsIn is sure to find the billboard, transit and street furniture options to best fit your campaign. Take the next step by selecting an ad format below to learn more. Or, get started by browsing BillboardsIn’s extensive database of out-of-home options in Everett.